When you’re looking for the top tourist attractions in Bangladesh, you’ll find the whole country is covered in greenery as well as undulating hills. While the Muslims are called to prayer and Buddhist chants, you’ll find Bangladesh echoes as one of the most mysterious and wonderful lands in Asia. Although Bangladesh is the neighbor of India, you’ll find a less developed and more laid back atmosphere here. As the country had a tumultuous past, that saw it gain freedom from first the British and then from Pakistani rule. And it just goes to show what a turbulent recent past Bangladesh has had to endure when you consider that all this happened in the 20th century. This is because it offers a slice of authentic life to travelers who want an untainted image of the region. Why People Love the Tourist Attractions in Bangladesh? Not only the country is full of cultural wonders but the Bangladeshi people are famously friendly and welcoming. From the historical and monuments to beaches, Bangladesh’s tourist attractions include forests and tribal people, wildlife of various species etc. When people come as the tourists that enjoy various activities include angling, water skiing, river cruising, hiking, rowing, yachting, and sea bathing. As these all are attractive activities they like to do, they love to visit Bangladesh along with the tourist attractions in Bangladesh as well. Apart from the longest beach, the Cox’s Bazar, there is temple city Puthia in Rajshahi, Mahasthangarh in Bogra, Kantaji Temple in Dinajpur are a few to name. On the other hand, they feel attraction for the Sundarbans for the Royal Bengal Tigers, the Chittagong Hill-Tracts and many more to say. What are the Top 10 Tourist Attractions in Bangladesh? Bangladesh is a heaven of natural beauties that spread all over the country. You’ll find the green sceneries wherever you’ll look at. From the sea label to highlands, what you find that is not available in this country. These all are the tourist attraction in Bangladesh that bring millions of visitors here every year. Well, let’s know about the top 10 attractions of Bangladesh that you must see while visiting the country. Cox’s Bazaar is the Spilling out into the Bay of Bengal, which is an area covered in salty fishing skiffs and bustling jetties. While stretching for an amazing 120 kilometers from north to south along the side of the balmy Indian Ocean, this little town in the far south-east of Bangladesh is known for its stunning beach. Apart from being one of the largest sea beaches, it’s a seaside town, a fishing port and district headquarters in Bangladesh. This is because it’s one of the great tourist attractions in Bangladesh. According to the UNESCO, the Sundarbans in the largest mangrove forest on earth along with a UNESCO world heritage site. 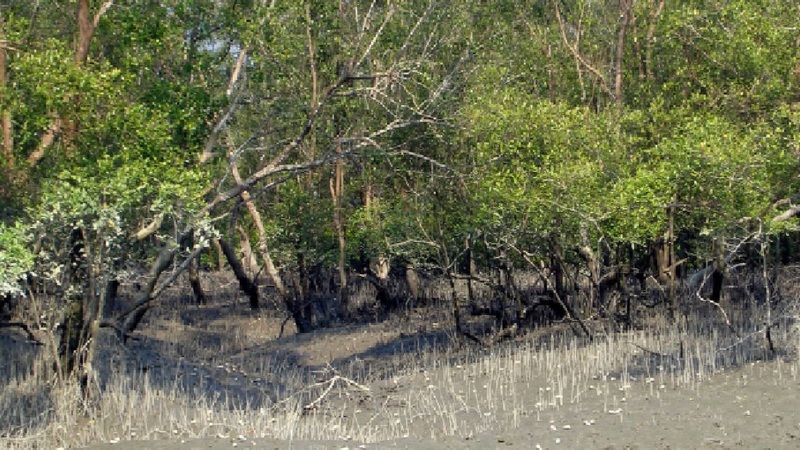 Although the Sundarbans is located in between two neighboring countries, Bangladesh and India, the majority of the forest is located in Bangladesh. Along with much other wildlife, this is the home of the last remaining Bengal tigers in the world. As the environment of the Sundarbans is tranquilizing, visiting this forest could be one in a lifetime experience. These all made the Sundarbans is one of the top tourist attractions in Bangladesh. Filled with beautiful hills, the Chittagong Hill-Tracts area is a naturally beautiful place. As it is home of many tribal groups of Bangladesh, it’s the best place in Bangladesh for adventure travel. If you can manage permission from the local authority then you can trek deep inside the hills for many days here. Moreover, you have a chance to meet different tribal groups in this region so that you can see their lifestyle. You might hear or not the most beautiful river is The Sangu, which is located in this area. And it could be a great experience while going on a boat ride in Sangu during monsoon. Locating in the north-eastern part of the country, Srimangal is well known as the tea capital of Bangladesh. When you’re in this region, you’ll find lush green tea gardens anywhere you go here. You may not find any other people anywhere if you look around as it’s one of the few places in the country. This is not only a nice and calm place but cycling through the trails inside the tea plantations here could be one of the best things you can do here. Apart from these, you can pay a worth visiting is the Lawachhara National Park, and trek to Hamham waterfalls. There is a tiny little place called Paharpur in the north-western part of Bangladesh. This is the place, which holds the most impressive archeological site in Bangladesh called Somapuri Mahabhihara. Also, it’s one of the UNESCO world heritage sites in Bangladesh. The south of Himalayas on 8th century, it was the second largest Buddhist monastery. And monks from all over the world used to come here for higher education on its prime time. Also, it that time, it was one of the best Buddhist monasteries in the world. As Sylhet is close to the Meghalaya state of India, it’s a naturally beautiful place in the north-eastern part of Bangladesh. In the heaven of the natural beauties, it has many beautiful places to visit, including Green-water canal Lalakhal, stone collecting area Jaflong, Ratargul swamp forest, and many of its tea gardens. These all made it one of the best tourist attractions in Bangladesh. During the medieval period, Sonargaon was the old capital of Bengal and it was a mint capital beside Gaur. As there still are some interesting things to spend a day in Sonargaon, it’s the heritage of the old capital. 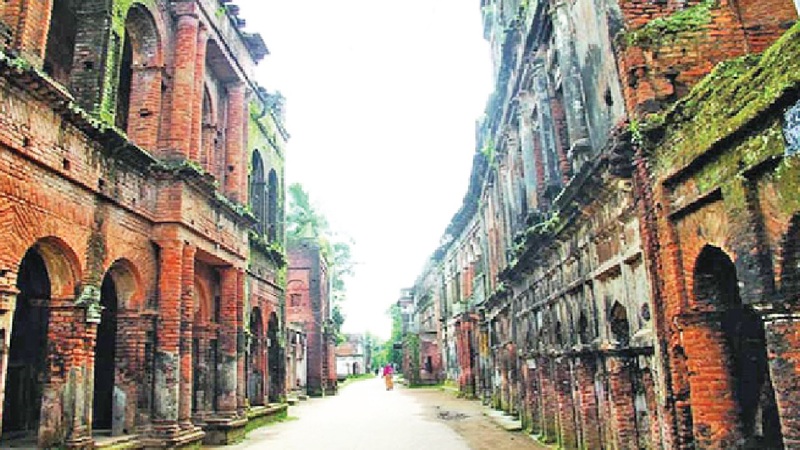 And among others, the main attraction to visit Sonargaon would be the abandoned merchant city, Panam Nagar. It was a city of wealthy Hindu merchants of India, which was built on the colonial period. Currently, there are 52 houses built on a single street in this fully abandoned city. Locating in the India-Bangladesh border, Gaur is a ruined city from the ancient and medieval period. When the city was on its prime-time during the 12th to 14th century, it became the capital of the whole Bengal region. Although it was a very rich and wealthy city in the medieval period, it was finally abandoned because of cholera. Its Kaptai Lake is the main reason to visit this place, which is a naturally beautiful man-made lake surrounded by beautiful hills. Also, as Rangamati is also home of many tribal groups, you can visit their handicraft market here to buy some fine quality handmade fabrics. There is Rajban Bihara, a Buddhist monastery, which worth visiting. At the mouth of the Naf River, St. Martin’s Island is about 8 km west of the northwest coast of Myanmar. Although the first settlement started just 250 years ago by some Arabian sailors who named the island ‘Zajira’, during British occupation the island was named St. Martin Island. The island is also known as “Narical Gingira”, also spelled, which means ‘Coconut Island’ in Bengali, and “Daruchini Dip”.